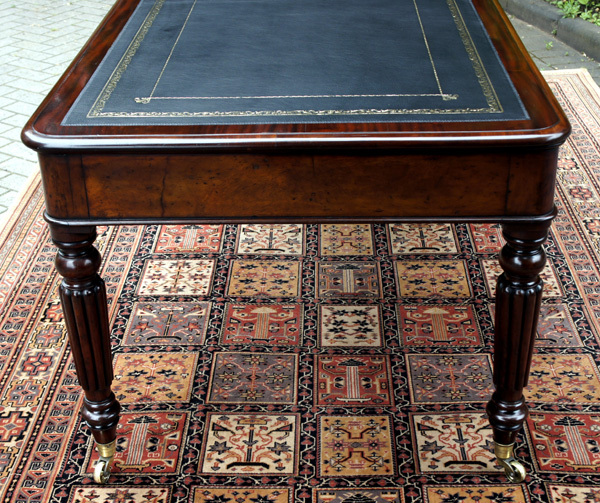 This antique, George 1V, partners library table / desk is made from the best quality figured mahogany timbers. 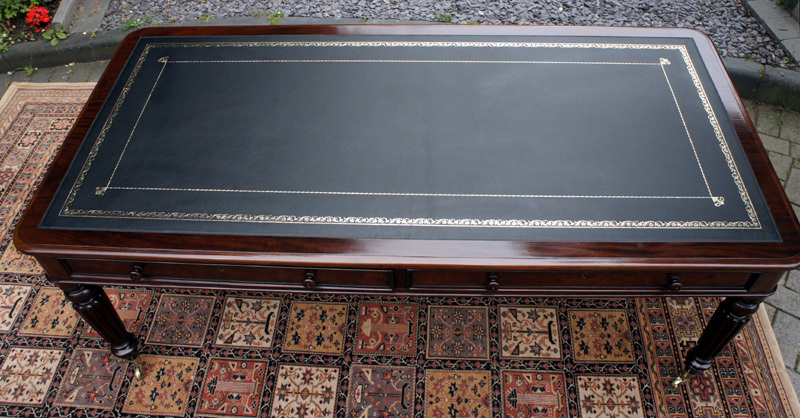 It has has recently benefitted from professional restoration, cleaned and french polished, ​and fitted with a replacement black hide writing surface with gilt and blind tooling. 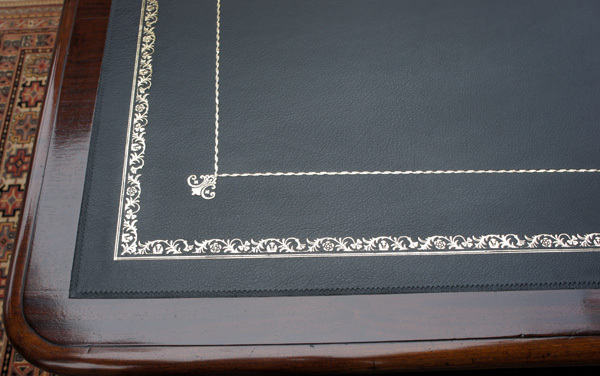 The leather is surrounded by a well figured band of mahogany with rounded corners and a "bull nose" edge. The frieze is with fitted with two mahogany lined drawers to each side. 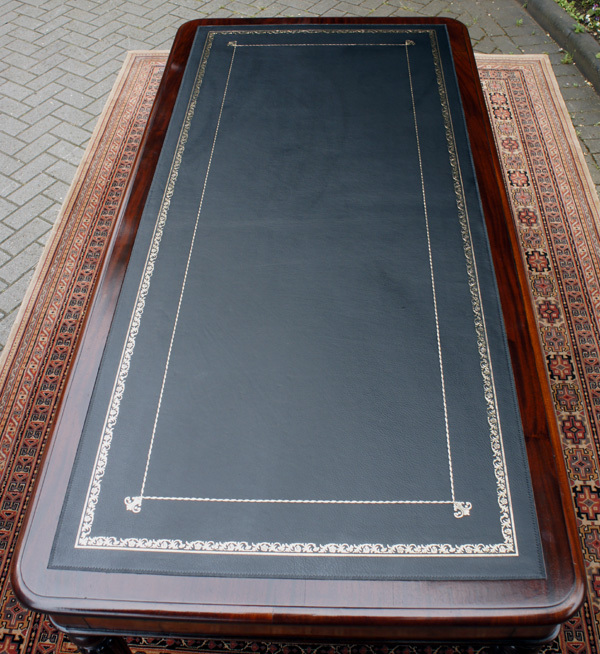 and fitted with a replacement black hide writing surface with gilt and blind tooling. The drawers have hand cut dovetail joints, brass locks with key, ogee moulded front edges and turned wooden knobs. 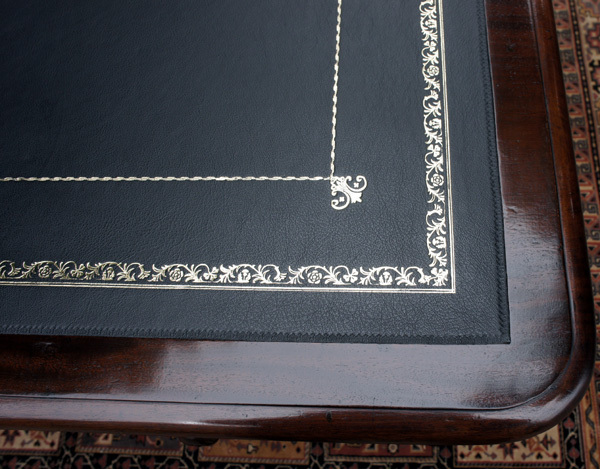 The corners of the table are rounded and it stands on four well turned, reeded legs, terminating in brass castors. 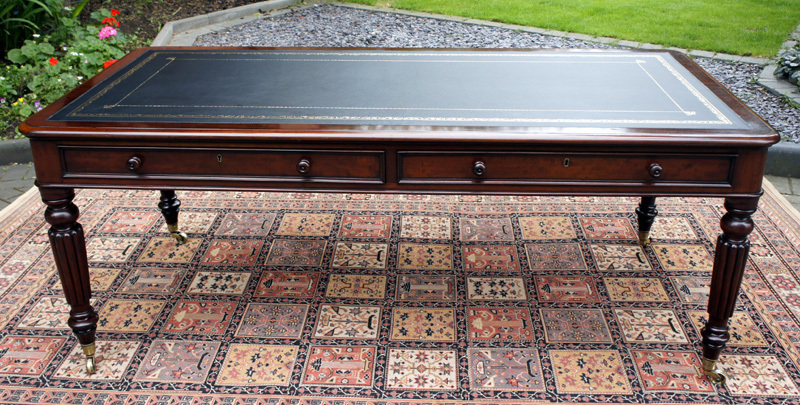 This well proportioned antique library table / desk in a good size. It is in excellent antique condition and would be a lovely focal point for an office library or study.